A Eureka man is in custody after allegedly kidnapping a woman and evading law enforcement officers. 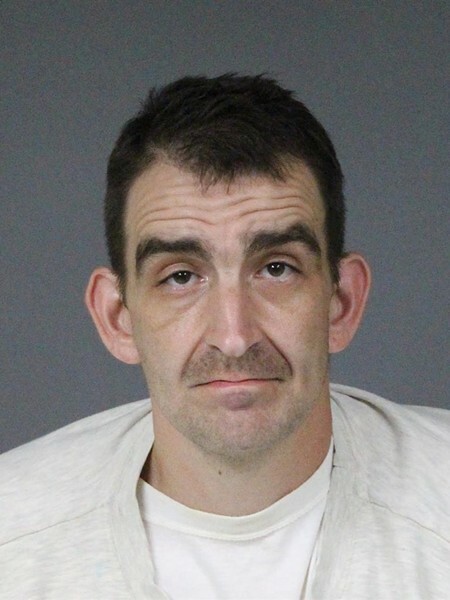 According to a press release from the Humboldt County Sheriff's Office, John Luther Leslie, 35, forced a woman he had been dating to leave her Eureka home early Wednesday evening and drove her north to Trinidad. The woman made an emergency call at 6 p.m. but was disconnected. She later told officers that Leslie had assaulted her several days prior and "made several threats towards the victim’s life and assaulted her multiple times as they traveled north." Dispatchers were trying to trace the distress call when a State Parks officer called to report a woman screaming for help from a vehicle on Patrick's Point Drive in Trinidad. Leslie fled from the State Parks officer "in excess of 100 miles per hour." Deputies and the California Highway Patrol responded, with CHP officers eventually locating and stopping the vehicle on the 400 block of Sixth Avenue in Westhaven. Leslie was detained and booked into the Humboldt County jail on charges of kidnapping, false imprisonment, domestic violence, attempted murder, damaging a wireless device to prevent calling law enforcement for assistance, assault with a deadly weapon other than a firearm, threats to commit a crime, intimidating/threatening a witness and torture. His bail has been set at $500,000. Leslie's arrest comes three weeks after Sharral “Sherry” McDonald was fatally shot in a Eureka home while trying to stop Ronald Allen Crossland, a convicted felon with a long criminal history that included domestic violence, from kidnapping another woman. 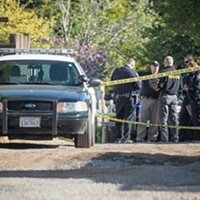 Crossland later died from an apparent self-inflicted gunshot as police closed in on the Fortuna trailer park that he fled to after the shooting. On May 23, 2018, at about 6 p.m., the Humboldt County Sheriff’s Office Emergency Communications Center received a 911 call from a distressed female stating she was being held against her will. The line was disconnected and dispatchers’ attempts to reconnect with the female were unsuccessful. As dispatchers worked to determine the location of this distress call, the Emergency Communications Center received a call from a State Parks officer advising he was flagged down by a female screaming for help from a vehicle in the area of Patrick’s Point Drive in Trinidad. The vehicle fled from the officer in excess of 100 miles per hour. Sheriff’s deputies were dispatched to the area to attempt to locate the vehicle. The California Highway Patrol (CHP) was called to assist. At about 7:40 p.m., officers with the CHP located and stopped the vehicle on the 400 block of 6th Ave. in Westhaven. The driver of the vehicle, 35-year old John Luther Leslie of Eureka, was detained. Upon further investigation, deputies learned that Leslie was in a dating relationship with the female victim and had assaulted her several days prior to this incident. In the early evening hours of May 23, Leslie forced the victim to leave their Eureka residence with him and began to drive northbound on Highway 101. Leslie made several threats towards the victim’s life and assaulted her multiple times as they traveled north. During this time, Leslie impeded the victim’s attempts to call law enforcement. John Leslie was arrested and booked into the Humboldt County Correctional Facility on the following charges: kidnapping, false imprisonment, domestic violence, attempted murder, damaging a wireless device to prevent calling law enforcement for assistance, assault with a deadly weapon other than a firearm, threats to commit a crime, intimidating/threatening a witness and torture. His bail is set at $500,000 per California law.